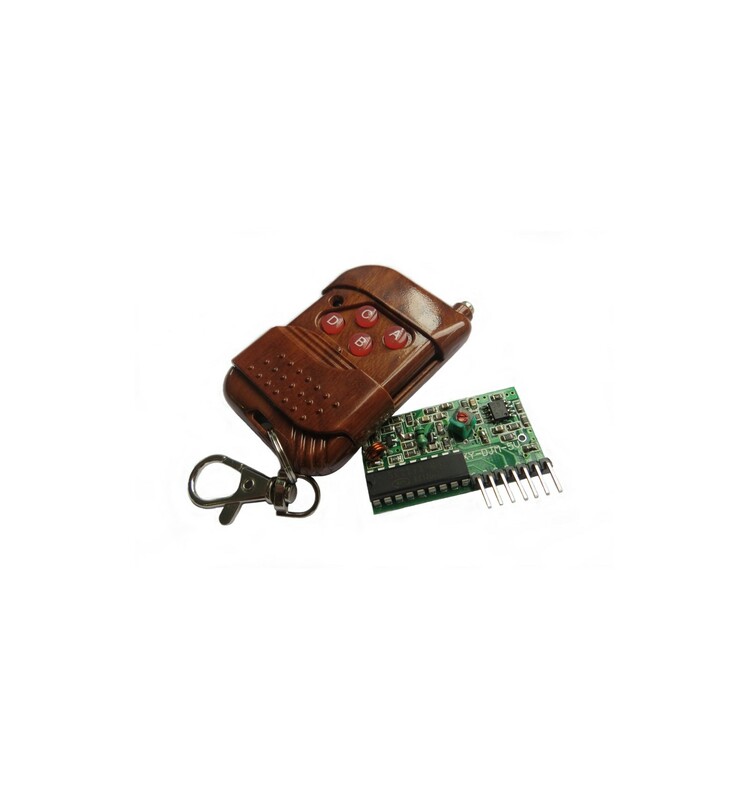 4 Channel RF Remote Transmitter and Receiver allows to remotely control four appliances. 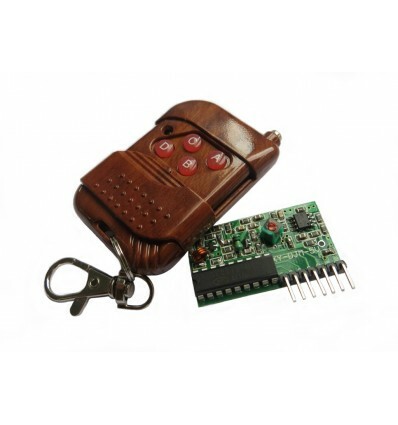 RF Remote Control provides 4 momentary outputs that can be wired to relays and control home appliances, lights, motors, light dimmers, robotic devices, RC cars, computer, etc. 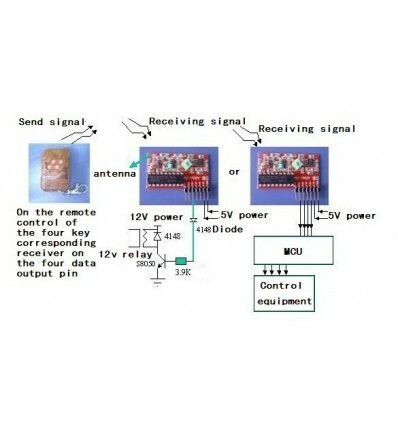 RF transmitter provides up to 150m range. Selection of custom address codes (by soldering pins) allows to operate more than one remote control system in the same area or to control one receiver with multiple transmitters. 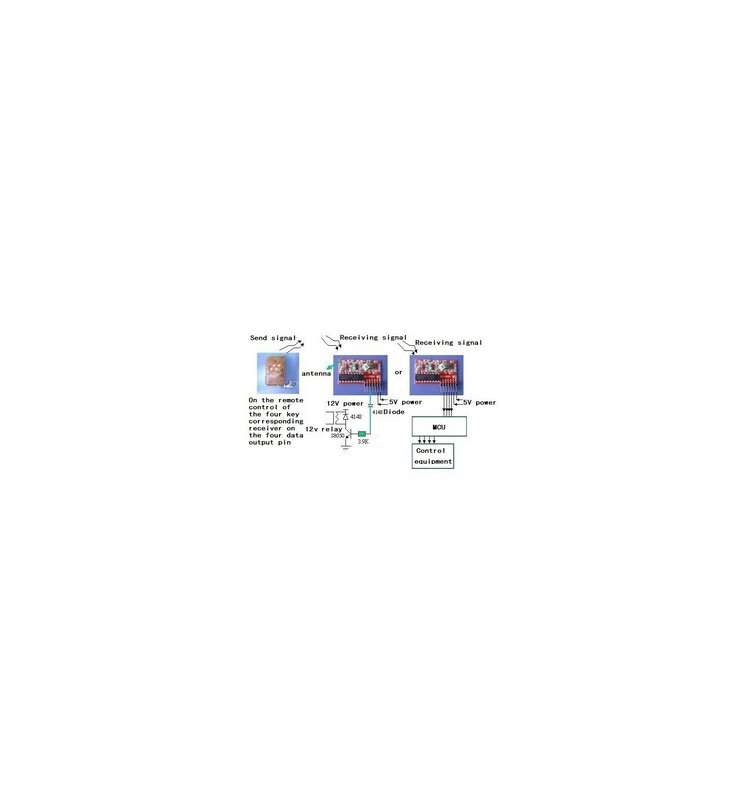 If required momentary outputs can be converted to toggle with low cost digital 4013 IC. 12V (27A) alkaline battery is included.